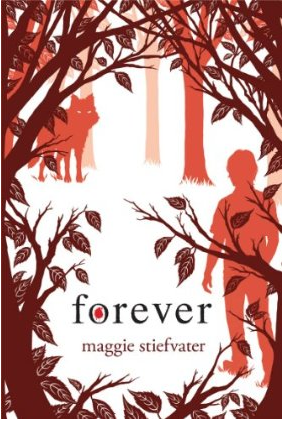 500 Follower Giveaway- Win a *signed* copy of Forever by Maggie Stiefvater, the third and final book in the Wolves of Mercy Falls trilogy. This giveaway is open INTERNATIONALLY, and it ends August 6th. Click here to enter the giveaway now! I really enjoyed 'The Beginning of After'!! It was so well written. 'Glow' sounds quite interesting as well. Thanks for stopping by. You got some awesome books. I've got Sisters Red on my shelf but haven't read it yet. I'd better get on that soon since she's going to be in Nashville in October. Eep! I think everyone but me got Glow this week :P I have Elixir on my TBR and Sister's Red and The Beginning of After look SO good! "That's not even tax!" LOL. I agree about ELIXIR's cover, I think the model on the paperback cover looks too much like Hilary Duff. I liked ELIXIR, but I also wonder how much of it Hilary Duff actually wrote. SISTER'S RED was very good, I hope you like it! That's awesome that St. Martin's Press gave out 1,000 copies of GLOW. They're pretty generous, when I went to TLA they gave out the most galleys of any publisher. Great mailbox this week! I can't wait to read The Beginning of After, need to read my copy soon! I hope you enjoy all of the great books you got and I'll keep an eye out for your reviews. Great set! I really liked Original Sin. I'm very curious about Elixir. I can totally agree with you on the contemporary thing. All I've been reading is paranormal, with kids getting powers and finding out their true selfs. Man, I just want a book with kids going through high school or something! And boys who cheat!! But yeah, you'll definitely love Glow! I can't stop reading it. I couldn't get into Sister's Red, however. I liked the premise, but there was just something that made me not be able to read it. I hope you enjoy it, though! Sisters Red was pretty good, i hope you like it. I would like to invite you to participate in Shelf Candy, a weekly meme where bloggers feature a favorite book cover and artist. Enjoy your books! :D My IMM is here! Nice mailbox! Glow sounds like such a good book. Great haul this week!! And has it been forever since I've been here last, cause your blog is looking a little different! I've seen quite a few mailboxes with Glow it looks interesting.